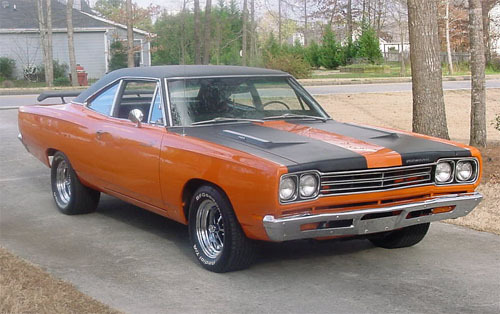 Attached are pictures of my 1969 Plymouth Road Runner. This car is an original 383 4 speed car. The car features a fresh 383 that's been balanced and updated with a Mopar Performance Cam with 292 duration. The car is equipped with a 3.91 sure grip, Mopar electronic ignition, a 70 model go wing. This is a western car so it is very dry no rust or rot anywhere. 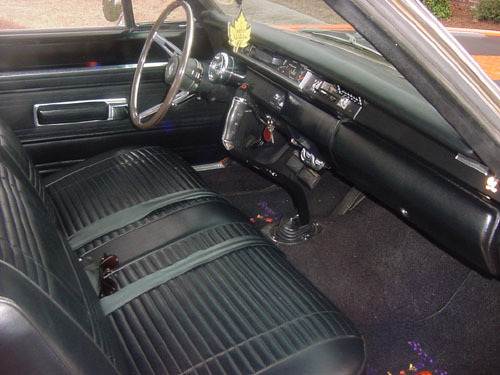 Future modifications include a Keisler 5 speed to tame those 3.91 gears for long distance cruising and will retain the 70 model pistol grip shifter. Click Here For More Picture's Of This Cool Mopar!